A good IT strategy brings energy, clarity and alignment to an IT Function, enabling a superior contribution to the wider business. However, the IT strategy definition process can be challenging. For example, the wider business strategy may be in flux or there may be conflicting views on key issues such as levels of IT spend and outsourcing. Our consultants typically have between 7 and 25 years’ experience – consultants who “hit the ground running” and start to add value very quickly, and who can provide valuable insight and judgement based on experience elsewhere, rather than simply following a cookbook approach. We have no associations or alliances with any organisations. 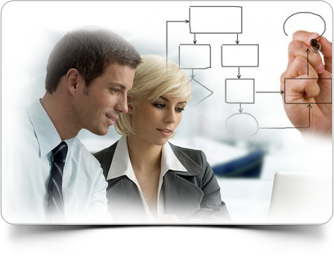 We don’t offer any IT outsourcing, Systems Integration or Software Development services. You can be sure that the only agenda we have is the client’s agenda, unencumbered by any consideration other than acting in the client’s best interests. At the heart of what we do, quality starts by recruiting the best people through stringent recruitment processes. We then build quality in through the way they work and through their internal assurance and support processes. Our exceptional reputation for the quality of its work is evidenced by the very high level of repeat business, at over 95%. Typically we provide just one or two consultants to work as part of the client team in developing the IT strategy, guiding the client through the process through the provision of structure, challenge and insight. In this way, ownership of the thinking and control of the process remains clearly with the client - they do not feel that the strategy is being ‘done to them’, but that they are developing it for themselves. It is widely recognised that most IT strategies fail not through design but through execution. Our consultants bring a strong combination of both IT strategy and a delivery skill, our philosophy is that the two should not be divorced. So our consultants will help challenge and validate client thinking, such that not only is the strategy based on robust commercial assumptions but that it is practical to deliver. Ivory-tower approaches and overly academic solutions are not our hallmarks.